A Florida accident involving a commercial truck can be one of the most severe accidents you could be involved in. You may be left with serious physical injuries as well as substantial financial burdens, and it's easy to feel as though you have no allies during this time. Our lawyers know that this can be a difficult period, and we fight to make sure that no matter what was involved in your accident, you get the compensation you deserve. We fight to make those responsible pay. The lawyers of Goldman Babboni Fernandez & Walsh have the firm belief that for the injured, getting justice pays. However, a trucking accident personal injury case can involve a lot of different variables than aren't present in other types of auto accidents. As such, it's important to take a moment to understand more about this type of personal injury law. We'll fight for you, and we'll handle the entire process form start to finish. But knowing more about what to expect can help you prepare. Why Is A Trucking Accident Lawsuit So Important? The sheer size and weight of a commercial truck means that those who are involved in an accident with one could be left with some of the most serious injuries on Florida roads. This means that for many, the road to a physical recovery will be very long and difficult to make. And making things worse is the fact that you'll have mounting medical bills and debt. You could miss work for weeks, months, or even years - and in serious instances may be unable to ever return to work in the capacity you once did. This means that your financial future could be at serious risk due to a trucking accident. And when you are so focused on your finances, it can be difficult to put your full attention on your physical well-being. As such, a truck accident lawsuit could be vital for making the recovery you need in order to get your life back on track after an accident. Our lawyers handle the entire process for you - you only need to sign documents occasionally as we fight to get you what you deserve. You can focus on physically healing as we make those responsible for your injuries pay for their actions. It's impossible to say for sure what a trucking accident lawsuit will be worth to those injured without reviewing all of the information first. However, a number of factors should be considered when structuring a settlement amount that is fair. 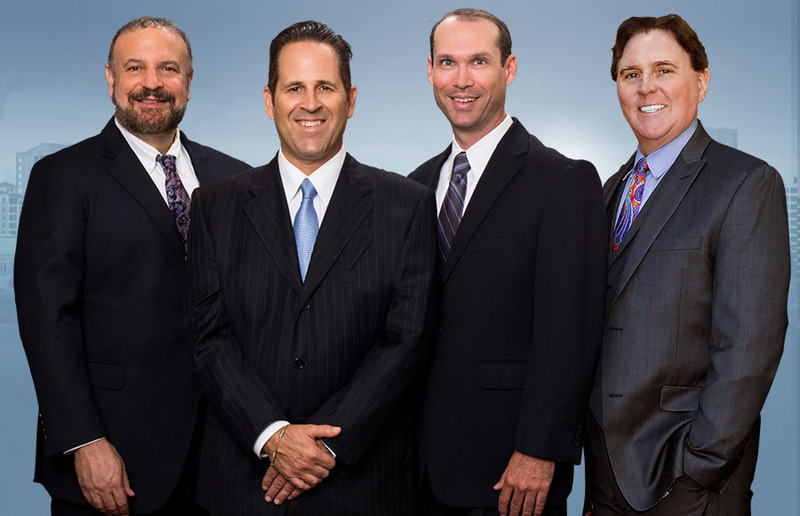 Our lawyers consult with experts in the medical and financial fields and review each aspect of your case. This way we have an exact figure as to the true, overall financial impact of the accident on your finances. Once we have that figure, we use it to fight to get what you are owed. We get you the most from your injuries and don't back down until you get what you deserve. With any Florida accident, you will be entitled to financial compensation if you are able to show that the other side acted in a manner that was negligent or reckless and that those actions are what led to your injuries. Essentially, if a reasonable person would recognize an action to be reckless or negligent, then it is likely that you have the grounds to seek compensation if the driver acted in that way. However, with trucking accidents there are additional factors to consider. The government has very strict regulations in place for commercial truck drivers, and they must abide by these rules completely. If they fail to do so, it could mean that they acted recklessly or negligently as well and that you have the right to compensation. Our lawyers know how to determine fault quickly, and how to prove that you are owed compensation. We'll fight to get you what you deserve in a trucking accident. Is The Trucking Company At Fault As Well? One of the biggest differences in a truck accident lawsuit is who could be held liable for your injuries. While a driver may be held at fault, it is often the case that a trucking company could be liable as well. This is especially true when trucking companies fail to enforce government rules, require their drivers to break those rules, or have policies in place that could encourage drivers to break the law when driving. Here are some examples of how trucking companies could be at fault for your accident. If they require drivers to meet delivery quotas that force them to drive more than legally allowed. Trucking companies have a legal obligation to make sure that their drivers are driving safely and that they are protecting the general public. If they fail to do so, they could be held responsible for the injuries that are caused by their drivers. Our lawyers have no problem taking the fight to these big trucking companies and getting you what you're owed. Fighting The Powerful It can be a huge challenge getting you what you deserve from a truck accident lawsuit. Any personal injury claim will involve a long process and could take months or even years to fully complete. But when you're going up against the trucking companies, it can be even more complex. That's because trucking companies have deep pockets with which to fight, and they try to avoid paying out a dime whenever they can. It can make it frustrating and stressful for anyone, which is why our law firm fights so hard. We fight for the injured, not the powerful. And we take getting you what you truly deserve very seriously. That last point is one of the most important. Today's commercial trucks - and most new cars - are all equipped with onboard data recorders just like those on airplanes. This data can then quickly be applied to your case, showing that the truck driver was acting unsafely. As such, the black box recorder has become one of the greatest tools for proving fault in a personal injury lawsuit and will be one of the first steps that we take in showing that you're entitled to restitution. The trucking companies may try to push you around, and may try to avoid paying out. But the fact is that with our lawyers on your side, you'll have a fierce advocate who will fight to make sure you get what you deserve. We'll make them pay, even if they try to stop us. Will We Go To Court? In most cases, personal injury lawsuits end with a settlement agreement. This is especially true when you have us on your side. Our team has a reputation for fighting to get you what you deserve, and when the other side knows that we aren't afraid to go to court, they'll be more likely to stop bullying and start trying to reach a settlement with you. However, if we have to go to court and fight, we will do so. In any situation, you won't have to pay us a dime until we win your case, at which point we deduct your legal fees from your settlement amount. And you don’t' have to do a thing as we fight for you. You can focus on your physical recovery while we take care of the difficult process of getting you what you're owed. If you've been injured in a trucking accident in Florida, don't let yourself languish or feel like you have nowhere to turn. You have rights, and getting the financial compensation you deserve for your injuries is incredibly important for making sure your future remains bright. Our team will fight for you and get you the money you are owed. Contact us today so we can review your case and get started fighting for you. Stephen Fernandez treated me with the utmost kindness and care and made sure my process back to health was as stress free and easy as possible. I am incredibly grateful I decided to go with this group of amazing people!